Anno 2014 - 1° trim. 1 73 FELLONI ALBERTO 01/01/1973 TRAIL ROMAGNA M 1h41'52"
2 30 MORELLI PAOLO 07/10/1974 ASD I CINGHIALI M 1h42'00"
3 27 MAZZOLI TOMASO 25/03/1975 TT CESENATICO M 1h42'31"
4 72 PIANA GIULIO 01/01/1981 MUD & SNOW M 1h45'58"
5 52 GUADAGNINO ANTONINO 20/09/1968 TRAIL ROMAGNA M 1h46'32"
6 75 RAVAIOLI CRISTIAN 01/01/1977 ASD I CINGHIALI M 1h46'45"
7 19 BRAGHINI GIANLUCA 17/04/1977 TRAIL ROMAGNA M 1h47'22"
8 41 GAIANI LEONARDO 15/04/1971 ASD I CINGHIALI M 1h51'46"
9 79 DI PAOLA FERDINANDO 01/01/1982 ATL. IMOLA SACMI AVIS M 1h52'47"
10 55 VENTURINI CORRADO 08/07/1967 ASD I CINGHIALI M 1h56'49"
11 25 PANEBIANCO ENZO 03/06/1975 ATL. SCANDIANESE M 2h00'11"
12 24 BOMBOI IVANO 21/03/1976 POD. 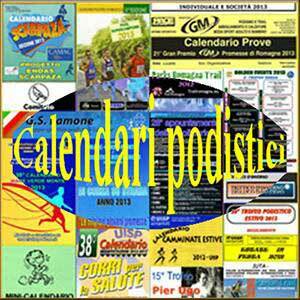 SAMMAURESE M 2h01'00"
13 208 CARBELLOTTI RODOLFO 07/04/1961 RICCIONE PODISMO M 2h03'25"
14 205 TESTONI GIAMPIERO 05/05/1962 ASD VALMONTONE ADV. M 2h03'27"
15 42 PAOLI MASSIMILIANO 27/10/1970 ASD I CINGHIALI M 2h03'37"
16 16 CAVALLINI CRISTIANO 17/08/1978 POL. OTELLO PUTINATI M 2h04'20"
17 57 TOSCHI PAOLO 14/03/1967 ATL. CORRIFERRARA M 2h04'34"
18 60 BALBONI ROBERTO 01/08/1966 ATL. CORRIFERRARA M 2h04'35"
19 44 GAVIOLI MARCO 14/04/1970 ATL. CORRIFERRARA M 2h04'36"
20 45 BONACINI MAURIZIO 26/02/1970 ATL. REGGIO M 2h05'59"
21 82 PALLI GIANLUCA 01/01/1977 ROCCA RUNNER M 2h06'01"
22 83 ZUFFA MANUEL 01/01/1991 UISP LUGO M 2h06'31"
23 9 CORA' MASSIMO 05/11/1981 ATL. CORRIFERRARA M 2h09'56"
24 71 POZZI MATTEO 27/03/1974 MUD & SNOW M 2h10'17"
25 34 SAIEVA MAXIMILIANO 10/04/1973 POL. OTELLO PUTINATI M 2h10'46"
26 65 SCARPELLI GIAN LUCA 22/02/1965 ATL MARCIATORI MUGELLO M 2h11'05"
27 69 GIORGI FLAVIO 06/06/1964 POD. SAN PANCRAZIO M 2h11'15"
28 40 ANTONIOLI ANDREA 23/08/1971 ASD RUNNING EVOLUTION M 2h11'48"
29 213 MORETTI TIBERIO 14/11/1959 EASY RUNNER M 2h12'04"
30 22 SACANNA MASSIMO 21/10/1976 UISP M 2h12'45"
31 251 ZOCCOLI GIOVANNA 29/07/1962 ASD PASTA GRANAROLO F 2h12'56"
32 53 DARDI FABRIZIO 14/03/1968 ASD I CINGHIALI M 2h13'11"
33 209 TAMBURINI ANDREA 01/01/1961 ATL. MAMELI M 2h13'15"
34 5 MONTEFORTE UBALDO 01/01/1985 ASD I CINGHIALI M 2h13'34"
35 80 BALDUCCI ALESSANDRO 01/01/1970 TRAIL ROMAGNA M 2h13'43"
36 4 CAMPIONI GIULIO 12/02/1985 ATL. CORRIFERRARA M 2h14'32"
37 115 ORLANDI M. CRISTINA 04/12/1970 POD. SASSOLESE F 2h15'02"
38 68 ROMANI FABRIZIO 12/09/1964 POL. MADONNINA MO M 2h15'06"
39 64 D'ANTUONO ROBERTO 08/04/1965 ASD I CINGHIALI M 2h15'47"
40 48 SIGHINOLFI GABRIELE 30/07/1969 POL. MADONNINA MO M 2h18'06"
41 106 LASAGNA NICOLE 30/03/1980 ASD I CINGHIALI F 2h18'35"
42 56 RODOLFI MARIO 29/03/1967 TRAIL RUNNING BRESCIA M 2h19'10"
43 2 OLIVONI CESARE 04/09/1991 ASD I CINGHIALI M 2h21'57"
44 13 SAPIA STEFANO NICOLA 24/03/1979 ASD I CINGHIALI M 2h22'32"
45 108 TAIOLI MATTEO 04/08/1978 ASD I CINGHIALI M 2h22'34"
46 3 SOSPETTI FAUSTO 29/12/1985 AVIS ASCOLI MARATHON M 2h25'16"
47 6 CALMANTI STEFANO 02/03/1984 CORRIFORREST ASD M 2h25'35"
48 7 VESPERTINO GIOVANNI 15/11/1982 UISP BOLOGNA M 2h25'37"
49 227 D'ANGELI PIETRO 11/03/1962 UISP RAVENNA M 2h26'03"
50 117 GARAVINI DEBORA 23/03/1968 SURFING SHOP RUNNING F 2h26'53"
51 35 FAROLFI LORIS 01/01/1973 ASD I CINGHIALI M 2h26'54"
52 28 MARINI RICCARDO 24/11/1974 T.T. CESENATICO ASD M 2h26'56"
53 101 LO RUSSO MICHELA 08/03/1991 TRAIL ROMAGNA F 2h27'49"
54 8 LONTANI EROS 15/05/1982 UISP M 2h28'10"
55 14 FABBRI YURI 01/01/1979 ASD TOSCOROMAGNOLA M 2h28'46"
56 223 LAMBERTI VALTER 01/01/1956 POL. PONTELUNGO M 2h28'49"
57 212 DROGHINI SAURO 15/03/1960 G.P. LUCREZIA M 2h29'46"
58 51 MENEGATTI MATTEO 01/01/1969 ATL. 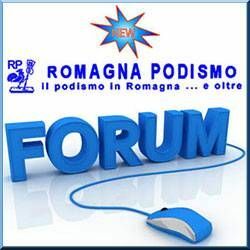 MAMELI M 2h30'40"
59 103 BRUNO ANNALISA 18/10/1987 ASD I CINGHIALI F 2h31'42"
60 38 BARTOLI NICOLA 25/02/1972 ASD I CINGHIALI M 2h31'48"
61 67 DEL PUGLIA ANDREA 27/09/1964 ASD RUNNERS BARBERINO M 2h32'02"
62 32 CECCARELLI PIERLUIGI 11/08/1973 INIDIVIDUALE FERRARA M 2h32'51"
63 206 CIAPPINI MASSIMO 06/10/1961 DLF RIMINI M 2h32'52"
64 62 CIAPPINI STEFANO 28/01/1966 DLF RIMINI M 2h32'54"
65 114 NANNI SIMONA 17/01/1971 SURFING SHOP RUNNING F 2h33'09"
66 59 LOPS MARCO 23/08/1966 POL. PORTA SARAGOZZA M 2h34'46"
67 21 BUFFAGNI ROBERTO 04/04/1977 ATL. MDS PANARIA GROUP M 2h35'02"
68 36 MORARA FABIO 22/11/1972 ASD I CINGHIALI M 2h35'13"
69 50 RAGAZZINI GIANNI 07/03/1969 G.P. 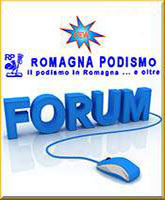 AVIS FORLI M 2h35'41"
70 63 FUSCHINI ALESSANDRO 18/01/1966 ASD I CINGHIALI M 2h36'10"
71 58 BORGOGELLI MIRCO MASSIMO 24/02/1967 FANO CORRE M 2h36'14"
72 18 BORELLA LUCA 03/10/1977 POL. PORTA SARAGOZZA M 2h36'32"
73 110 RASTELLI ERIKA 26/05/1976 MISANO PODISMO F 2h36'52"
74 31 UGOLINI DAVIDE 01/02/1974 MISANO PODISMO M 2h36'54"
75 216 ARNIANI FULVIO 01/01/1958 ASD I CINGHIALI M 2h36'56"
76 107 SENESE DANIELA 04/05/1979 ATL. IMOLA SACMI AVIS F 2h36'58"
77 113 BERTARELLI BARBARA 15/04/1972 TRAIL ROMAGNA F 2h36'59"
78 54 MARCELLI VALTER 15/08/1967 RICCIONE PODISMO M 2h37'42"
79 111 PALA FEDERICA 18/09/1973 ATL. RUBIERESE F 2h38'07"
80 215 DE ROSA ANTONIO 09/04/1959 POD. PONTE NUOVO M 2h38'36"
81 81 BUBANI MARCO 01/01/1974 TRAIL ROMAGNA M 2h38'42"
82 33 RENZI DAVIDE 06/08/1973 ATLETIC TEAM TAVERNA M 2h39'22"
83 105 TAMBURINI ENRICA 26/03/1981 ATLETIC TEAM TAVERNA F 2h39'25"
84 74 REGGIDORI ALESSANDRO 10/04/1975 G.S. LAMONE M 2h39'26"
85 23 GIOVANNINI MICHELE 14/06/1976 UISP M 2h42'51"
86 221 QUAGLIAROLI PAOLO 05/09/1956 CUS PARMA M 2h42'52"
87 112 LASTRUCCI FRANCESCO 31/05/1972 ASD RUNNERS BARBERINO M 2h44'10"
88 214 PATTUZZI SERGIO 19/10/1959 CRC CITTANOVA M 2h44'10"
89 76 BUSCARINI RENZO 01/01/1964 AVIS FORLI' M 2h44'29"
90 203 ANCARANI ANDREA 20/03/1963 G.S. LAMONE M 2h46'49"
91 225 ZACCHERINI MASSIMO 03/08/1951 AVIS CASTEL BOLOGNESE M 2h47'20"
92 20 MINGOZZI SAMUELE 15/04/1977 G.P. AVIS FORLI M 2h49'24"
93 78 CAROLI MARCO 01/01/1968 ASD I CINGHIALI M 2h51'05"
94 217 RUBBI PAOLO 01/01/1958 POL. PONTELUNGO M 2h53'01"
95 70 CESARI MARCO 29/01/1964 POL. DIL. SANRAFEL M 2h53'05"
96 29 LAZZARINI RENZO 10/11/1974 UISP M 2h53'47"
97 119 MORESSA ALESSANDRA 16/09/1966 ASD CAPO NORD TEAM F 2h53'53"
98 104 TOLLUMI ANA 22/09/1981 GOLDEN CLUB RIMINI F 2h54'06"
99 253 LINZAS MARINA 01/01/1960 ASD I CINGHIALI F 2h54'15"
100 46 BORTOLOTTI FRANCO 30/11/1969 ATL. CALDERARA M 2h54'26"
101 47 PIRONDINI ANDREA 30/09/1969 POL. PORTA SARAGOZZA M 2h54'27"
102 219 SABATTINI GAETANO 19/07/1957 POL. PORTA SARAGOZZA M 2h56'19"
103 252 TRIFOGLI ANGELA 19/06/1960 COOP CERAMICA IMOLA F 2h57'39"
104 207 SCOCCHERA GIUSEPPE 29/09/1961 POD. S. CASADEI M 2h58'02"
105 222 BAZZOCCHI MARCO 14/02/1956 T.T. CESENATICO ASD M 2h58'33"
106 37 MIGLIORI MICHELA 19/05/1973 ASD I CINGHIALI F 3h00'17"
107 254 CASADEI M. ANTONIETTA 25/08/1954 G.P. AVIS FORLI F 3h06'58"
108 116 BELLINI MARIA 23/07/1968 UISP PARMA F 3h10'53"
109 66 CALMANTI MAURIZIO 03/10/1964 CORRIFORREST ASD M 3h11'02"
110 201 VALZANIA MAURO 08/09/1963 TEAM CAPO NORD ASD M 3h11'28"
111 120 FOSCHINI RITA 15/06/1965 TRAIL ROMAGNA F 3h17'39"
112 77 LANIGRA GIANLUCA 01/01/1972 TRAIL ROMAGNA M 3h19'46"
113 84 BRUCIAPAGLIA GIANNI 01/01/1968 ASD I CINGHIALI M 3h20'08"
114 211 LORENZETTI RENATO 24/03/1960 RAVENNA RUNNERS CLUB M 3h22'17"
115 228 TARGHINI ROBERTO 01/01/1959 CORRIFORREST ASD M 3h27'25"
117 220 ZANNI EZIO 01/01/1957 RC COMACCHIO M 3h50'13"